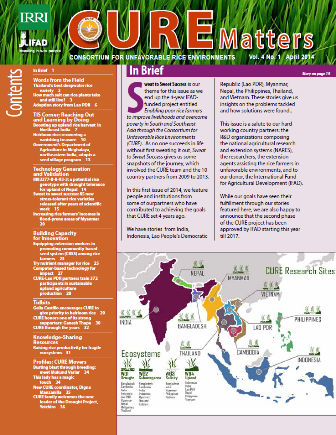 Our goal is that poor farmers in unfavorable rice environments of South and Southeast Asia can improve household food security and reduce poverty through the adoption of improved technologies validated and disseminated by us. We pursued two major streams of work. The first one was developing and gleaning new improved rice varieties and the second one was identifying sets of natural resource management practices that would enhance the performance of the new environment-friendly improved varieties. We worked on a rice varietal tolerance development chain of activities from screening potential stress-tolerant donors to seed production and distribution for drought, submergence, salt, and upland. 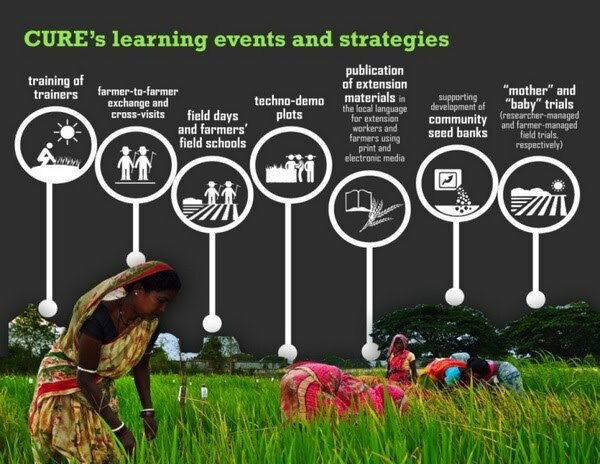 Together with its NARES partners, we has set up enabling mechanisms that encourage farmers to embrace new improved rice technologies at a much faster pace than the usual waiting time. Our Knowledge Management (KM) enables us to document helpful processes, technologies, and adoption results across various types of audiences. These are captured in various formats distributed in combination with improved varieties and good seed. 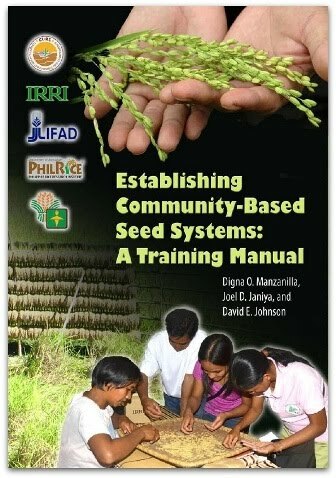 Using knowledge on seed production at the village level as our example, we provide technical guidance on seed production from concepts, methods, and practices of seed production, selection, storage, and marketing to testing. As farmers learn how to produce good-quality seeds, they are also being introduced to other linkages and series of activities through which they themselves would, at the end of their seed production training journey, be able to establish seed groups or seed cooperatives.